On Thursday, platinum futures contracts continued to recover from levels last seen at the beginning of 2017 hit on Monday, adding $12 to exchange hands for $912.30 an ounce. Platinum is vastly underperforming the precious metals complex and sister metal palladium which is sporting year-to-date gains of more than 17% at just shy of $800 an ounce. The fortunes of platinum and palladium has diverged dramatically. 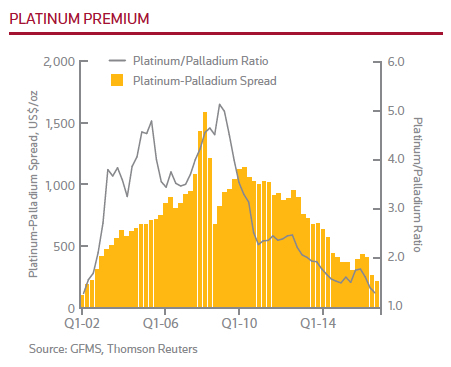 A new annual report by the GFMS team at Thomson Reuters on the PGM market argues it is "more a case of when, not if, the palladium price will exceed platinum". The authors of the report predict that after being broadly in balance the last two years, the platinum market will be undersupplied this year, boosting prices. We do not expect it to continue to lag its peers substantially as the market has priced in much of the bad news, notably with respect to diesel usage, and it is starting a recovery, albeit a cautious and difficult one. We are looking for a fundamental deficit this year as mine production continues to be hindered by the lack of investment in earlier years. 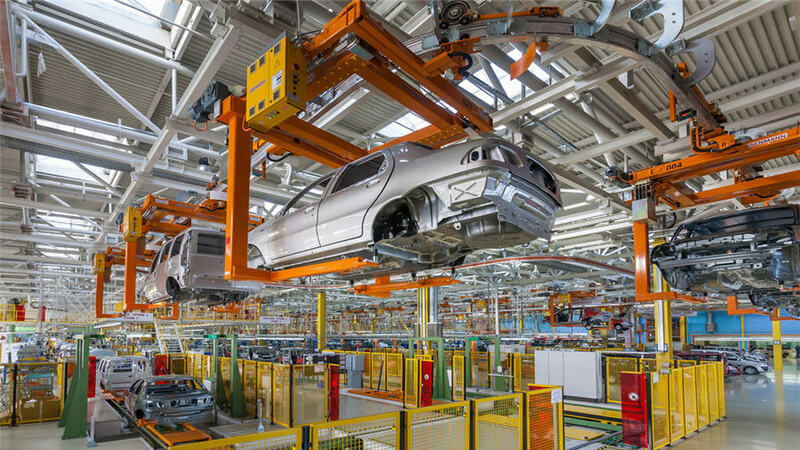 Europe's car manufacturers where diesel makes up around 50% of the market are the top industrial consumers of platinum. The autocatalyst market represent 40% of platinum end user demand. Palladium mainly finds application in gasoline engines and the sector is responsible for 70% of overall palladium demand. The fallout the Volkswagen emissions cheating scandal that came to light September 2015 has been limited so far, but the shift to gasoline and palladium is significant. Platinum consumption in autocatalyst applications rose by 2% to 3.3m oz (102.2t) helped in part due to new EU emissions standards introduced last year. Palladium is in a persistent large deficit and the market is tightening, a development we think will be increasingly felt in the coming years, with more bouts of higher lease rates. This has also been translating into a strong price recovery, and while the market is susceptible to a short term correction we would expect prices to recover to be in excess of $850 well before year-end. Global platinum mine production fell by 2% in 2016, to stand at 6.05 Moz (188 t) driven by a 5% fall in output from South Africa’s five largest operations with few mines escaping disruptions to production. South African mines supply 70% of the world's platinum. Mine production of palladium also contracted by 2% to total 6.57 Moz (204 t) last year as output fell in South Africa, Russia, and Canada, but was supported by the ramp-up of operations in Zimbabwe and the United States. The closure of high cost shafts in South Africa, processing constraints in Russia, and lower grades in Canada echoed some of the challenges faced by these countries in 2012. At the asset level, the largest decrease was registered at Norilsk’s Russian operation, while the largest increase was posted at Ngezi in Zimbabwe according to the report.